Whatever your thing is, AT&T THANKS® offers you more of it. Get insider access and exclusive offers and perks on the things you love, just for being with AT&T––no need to sign up and no points to collect. Is your thing being in the front row at a show? Or is your thing kicking off the weekend with the crew and an XL pizza? Or maybe you're the high-fiving fan that never misses a home game, like, ever? Whatever your thing is, AT&T THANKS gives you more of it. 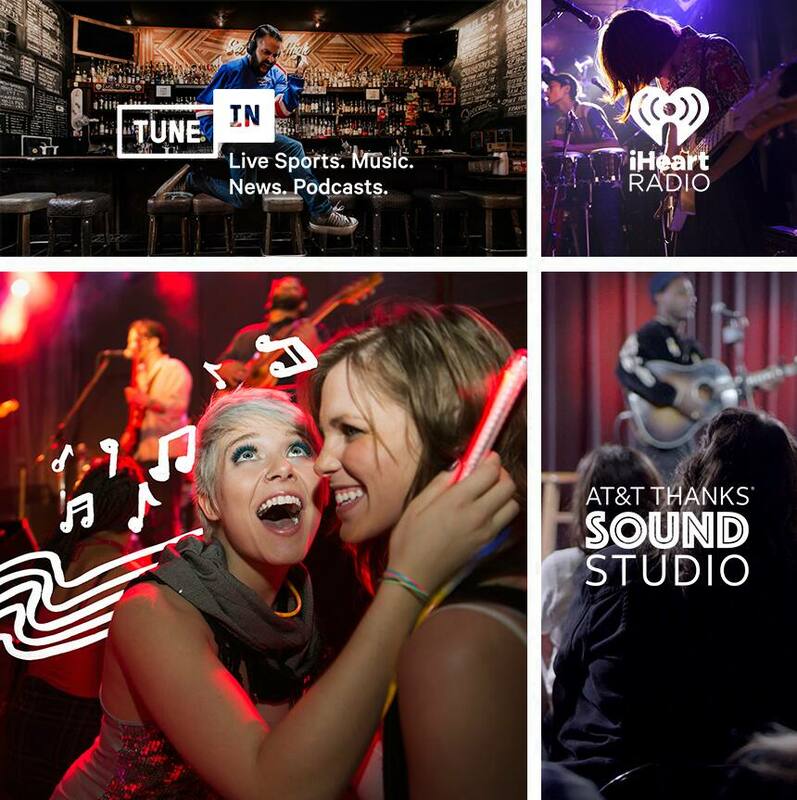 Get insider access and exclusive offers on live music, dining, entertainment and enhanced AT&T services. 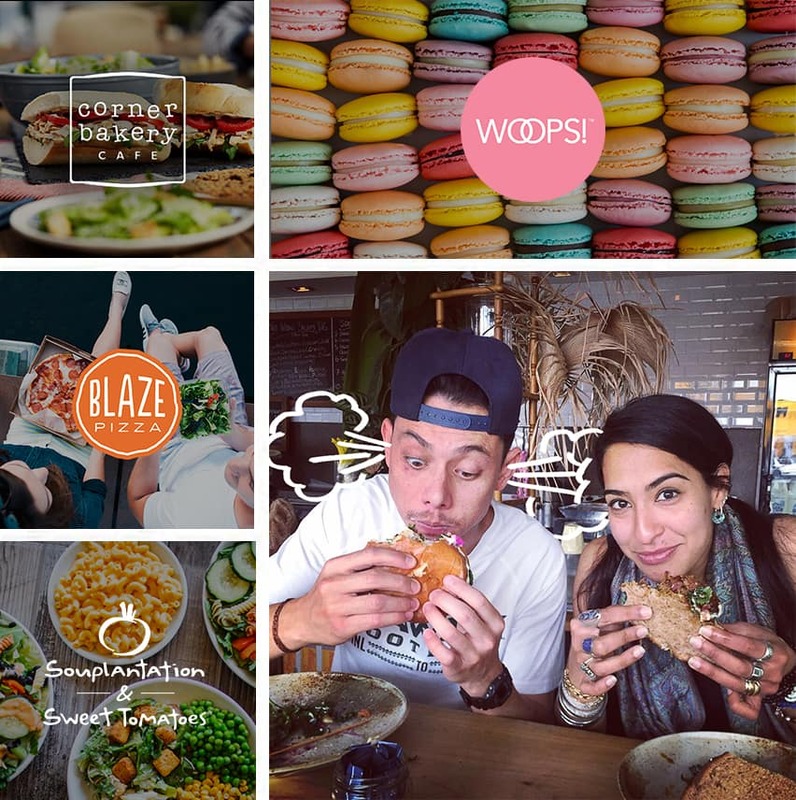 Great deals on good eats makes everyone hungry for more. Blockbusters, sporting events and VIP experiences–now that’s worth cheering for. Up-close shows, pre-sale tickets and more music than you can handle. Access priority inventory, same-day delivery and other premium services. There are three benefit tiers jam-packed with offers that give you more. Based on your eligible AT&T products and services you'll get access to either the Blue, Gold or Platinum tier. Sign in to discover which benefits are waiting for you. Yes, it's that simple. With Ticket Twosdays, every Tuesday, you can catch the newest movie, and bring a friend on us. * Get your tickets today! 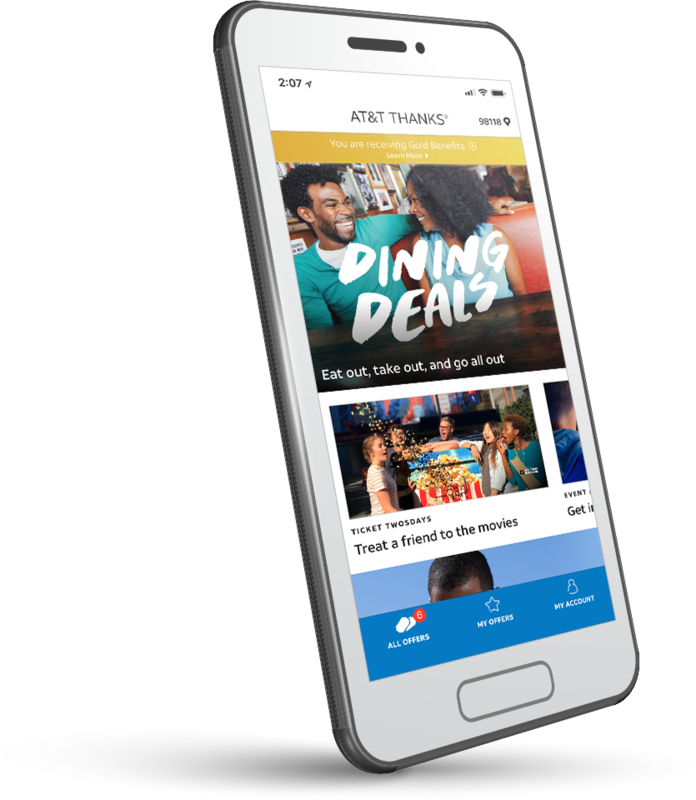 Get personalized and on-the-go access to the full selection of deals and benefits by logging into the AT&T THANKS app. All your benefits in one spot––ready for you to claim whenever and wherever. AT&T wireless customers can text ATTTHANKS to 8758. AT&T THANKS App: Eligible AT&T wireless, TV, internet customers, and AT&T employees who have qualifying AT&T services. Data/messaging rates may apply for app download and usage. Req’s compatible device with iOS 10 and higher or AndroidTM 5.0 and higher. Want to take a quick peek? Use your my AT&T login to explore your benefits. How do you do more of your thing? Do I have to join AT&T THANKS to receive benefits? Eligible AT&T customers are automatically enrolled in AT&T THANKS. If you have an eligible service with AT&T, benefits will automatically be available to you. What types of benefits does AT&T THANKS offer? Most benefits are redeemable in the convenient AT&T THANKS app. Check back often to see what’s new. What determines the tier level for AT&T THANKS? The number of eligible AT&T products and services you have determines your tier level – Blue, Gold, Platinum – and available benefits. Can I change tiers once I am in a tier for AT&T THANKS? Yes. 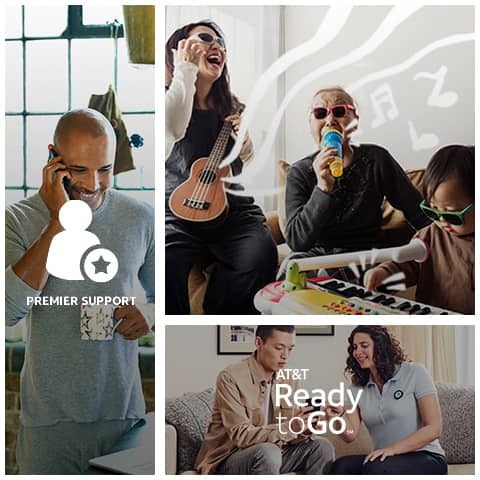 You may automatically change tiers by adding an eligible product or service with AT&T.1 AT&T has a wide range of products and services that are a part of AT&T THANKS. As your need for AT&T products and services grows, so will your benefits. How do I redeem my benefits? If you are signed into myAT&T you can access AT&T THANKS under My benefits and rewards on your Account overview page. Simply select Explore benefits to see your available benefits and redemption instructions for each. You can also sign into AT&T THANKS here. Or, download the AT&T THANKS app to easily access and redeem your benefits on the go. What makes me eligible for Ticket Twosday? I'm an AT&T wireless customer. I’m a qualifying AT&T TV and/or Internet customer. My account is in good standing. Why am I not eligible for Ticket Twosdays? I’m not a qualifying AT&T customer. I’m an AT&T employee, authorized retailer or government employee. I’m a Cricket or AT&T PREPAIDSM customer. I have a data-only plan. I already redeemed the offer within the last 6 days. 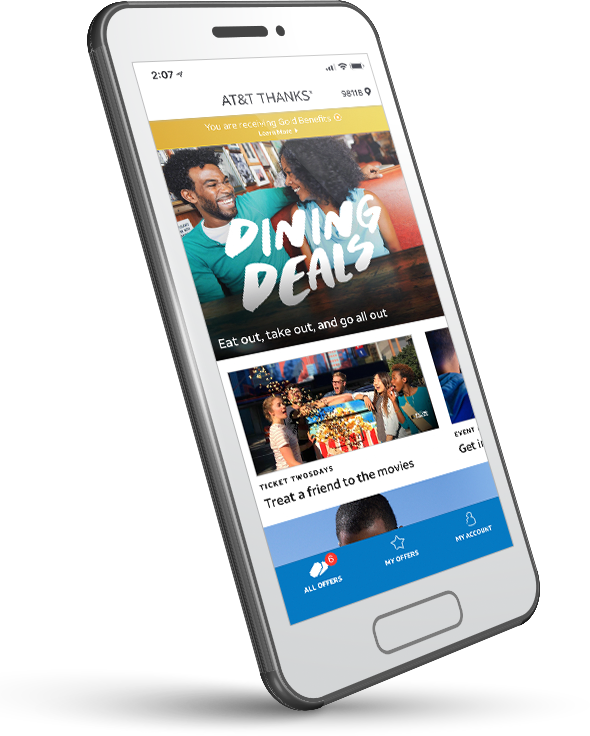 Start taking advantage of exclusive benefits, insider access, and special offers just for choosing AT&T.1 No need to sign up. You’re already in. Choose different service and feature combinations to see benefits by tier. Already know your tier? Check out the benefits chart above. As you select services and features above, tier eligibility will appear here. 1. AT&T postpaid wireless, DIRECTV (excludes DIRECTV NOW), U-verse TV and AT&T Internet customers in good standing, and AT&T employees who have qualifying AT&T services, are required in order to qualify for tiered benefits. The following services do not qualify for tiered benefits: Data-only plans, Pre-paid wireless, DSL, Fixed Wireless Broadband, dial-up services, Cricket, and AT&T PREPAID. Business accounts are not eligible for AT&T THANKS programs. Tiers are determined based on the number and type of qualifying services associated with an account in good standing. Adding a qualifying service may elevate the account to a higher tier. New tier will be reflected in account within 45 days of the new service activation. If a qualifying service is cancelled, account will remain in the higher tier for approximately 90 days from the cancellation date before moving to the lower tier associated with remaining active services. If all qualifying services are cancelled, account loses tier status. If qualifying service(s) are reactivated, tier status will be restored within approximately 90 days of service reactivation. The following customers may be legally prohibited from accepting gifts from AT&T and are not eligible for AT&T THANKS program benefits: a. Employees or elected officials of any government body, or members of any government or school board or commission; b. employees of K thru 12 schools, libraries or rural hospitals; c. employees of foreign governments and/or employees of companies owned in whole or in part by a foreign government; d. Immediate family members, dependents or households of anyone in category (a) thru (c) above. 2. Ticket Twosdays: Eligibility: AT&T postpaid wireless (excludes data-only plans), DIRECTV (excludes DIRECTV NOW), U-verse TV and AT&T Internet customers (excludes DSL, Fixed Wireless Broadband, and dial-up services) in good standing. Excludes Cricket and AT&T PREPAID customers, business accounts and AT&T employees. Buy one ticket for any Tuesday showing of a standard 2D movie at select theaters, get one of equal or lesser value free for the same movie. Limit one free ticket per account per week. Supplies of free tickets are limited and the number of free tickets available each week will be set by AT&T in its sole discretion and may vary.. Once all available tickets for a particular week have been claimed, AT&T will update att.com/attthanks; check website for availability before making a purchase. Customer may access offer via AT&T Thanks website or the AT&T THANKS app available for download at Apple and Android stores. Data/messaging rates may apply for app download and usage. Must complete online account validation process. Once validated, customer will be directed to redemption website to purchase tickets. Discount code will be automatically applied at checkout. Discount code valid for 6 days from account validation; must revalidate account if tickets not purchased at time of validation. AT&T cannot guarantee ticket availability for all movie titles or show times. Additional restrictions apply. Terms subject to change at any time without notice. Visit www.att.com/attthanks for complete details The following type of customers may be legally prohibited from accepting gifts from AT&T and are not eligible : a. Employees or elected officials of any government body, or members of any government or school board or commission; b. employees of K thru 12 schools, libraries or rural hospitals; c. employees of foreign governments and/or employees of companies owned in whole or in part by a foreign government; d. Immediate family members, dependents or households of anyone in category (a) thru (c) above. The following types of customers may be legally prohibited from accepting gifts from AT&T and are not eligible: a. Employees or elected officials of any government body, or members of any government or school board or commission; b. employees of K thru 12 schools, libraries or rural hospitals; c. employees of foreign governments and/or employees of companies owned in whole or in part by a foreign government; d. Immediate family members, dependents or households of anyone in category (a) thru (c) above. 5. AT&T THANKS Sound Studio: Eligibility: AT&T postpaid wireless (excludes data-only plans), DIRECTV (excludes DIRECTV NOW), U-verse TV and AT&T Internet customers (excludes DSL, Fixed Wireless Broadband, and dial-up services) in good standing prior to the start of the promotion. Excludes Cricket and AT&T PREPAID customers, business accounts, AT&T employees and, Authorized Retailers. You must be a legal resident of the 50 United States or D.C and be 18 or older (19 in NE and AL, 21 in MS). Ticket Access: One of the following two (2) methods will be used to access tickets. Ticket Access method for AT&T Sound Studio Events shall be at the sole discretion of AT&T. 1. Event Access: Offer ends 11:59 PM ET 12/31/2019 or when ticket inventory is exhausted whichever occurs first. A customer may participate through the AT&T THANKS app or through a targeted social post. Data/messaging rates may apply for app download and usage. Follow the link in the social post or AT&T THANKS app to the respective URLs at thankssoundstudio.com and follow the instructions to request two (2) tickets for an AT&T Thanks Sound Studio event (“Event”). Tickets will be given away on a first come, first served basis. Tickets not subject resale. Transportation or lodging will not be provided in connection with the Event. You will be contacted by email no later than two (2) business days after confirmation of request if awarded tickets and you may be required to provide AT&T ("Sponsor") with requested documentation. If you do not receive a responsive email from atteventaccess@themarketingarm.com you have not been awarded tickets. If you cannot be contacted, fail to timely respond or fail to timely provide any requested documentation, you will forfeit your gift. Limit: Only two tickets may be redeemed per month per account. Terms subject to change at any time without notice. 2. 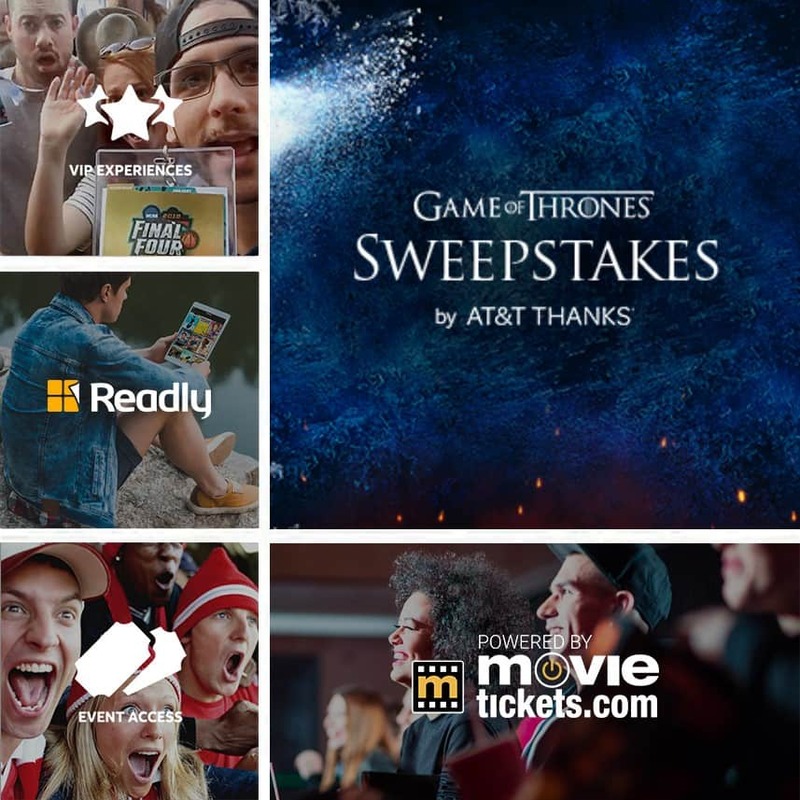 Selection via Sweepstakes: AT&T (“Sponsor”) shall conduct a sweepstakes to select customers via a random drawing to receive two (2) tickets for an AT&T Thanks Sound Studio event (“Event”). NO PURCHASE NECESSARY. Transportation or lodging will not be provided in connection with the Event. Entry period, event tickets, and random drawings for the sweepstakes are at the sole discretion of Sponsor. Customers can enter the sweepstakes via the AT&T Thanks App or online: thankssoundstudio.com. Data/messaging rates may apply for app download and usage. By participating in the Sweepstakes, customers agree to be bound by the Official Rules of the sweepstakes and by the interpretations of the Official Rules by Sponsor. Official Rules for each sweepstakes can be found at thankssoundstudio.com . 7. Premier Support for Platinum tier customers only who call 611 or 1-800-331-0500. Limited to English calls for service, sales, and retention. Average wait time may vary based on call volumes. 8. Priority services for Platinum tier customers only. Limited to calls made for AT&T Mobility or TV products. Purpose of call limited to service, sales and/or retention. Limited to calls in English only. Pending call volumes. Ticket Twosdays: Eligibility: AT&T postpaid wireless (excludes data-only plans), DIRECTV (excludes DIRECTV NOW), U-verse TV and AT&T Internet customers (excludes DSL, Fixed Wireless Broadband, and dial-up services) in good standing. Excludes Cricket and AT&T PREPAID customers, business accounts and AT&T employees. Buy one ticket for any Tuesday showing of a standard 2D movie at select theaters, get one of equal or lesser value free for the same movie. Limit one free ticket per account per week. Supplies of free tickets are limited and the number of free tickets available each week will be set by AT&T in its sole discretion and may vary. Once all available tickets for a particular week have been claimed, AT&T will update att.com/tickettwosdays; check website for availability before making a purchase. Must complete online account validation process. Wireless customers must consent to receive a validation code by text message to the wireless number provided; text messaging and data rates may apply. Once validated, customer will be directed to redemption website to purchase tickets. Discount code will be automatically applied at checkout. Discount code valid for 6 days from validation of account; if tickets not purchased at time of validation, customer must revalidate account. AT&T cannot guarantee ticket availability for all movie titles or show times. Additional restrictions apply. Terms subject to change at any time without notice. Visit att.com/attthanks for complete details. The following type of customers may be legally prohibited from accepting gifts from AT&T and are not eligible : a. Employees or elected officials of any government body, or members of any government or school board or commission; b. employees of K thru 12 schools, libraries or rural hospitals; c. employees of foreign governments and/or employees of companies owned in whole or in part by a foreign government; d. Immediate family members, dependents or households of anyone in category (a) thru (c) above. AT&T THANKS App: Elig. AT&T wireless, TV and Internet customers only; Data/messaging rates may apply for app download and usage. Req’s compatible device with iOS 10 and higher or Android TM 5.0 and higher.